For decades, slavery tore apart African-American families. Children were sold off from their mothers, and husbands were taken from their wives. Many desperately tried to keep track of each other, even running away to find loved ones. After the Civil War and emancipation, these efforts intensified. Freed slaves posted ads in newspapers and wrote letters — seeking any clue to a family member's whereabouts. A controversial mural depicting slavery that until recently greeted visitors to the Georgia Department of Agriculture will be back on display starting in August. 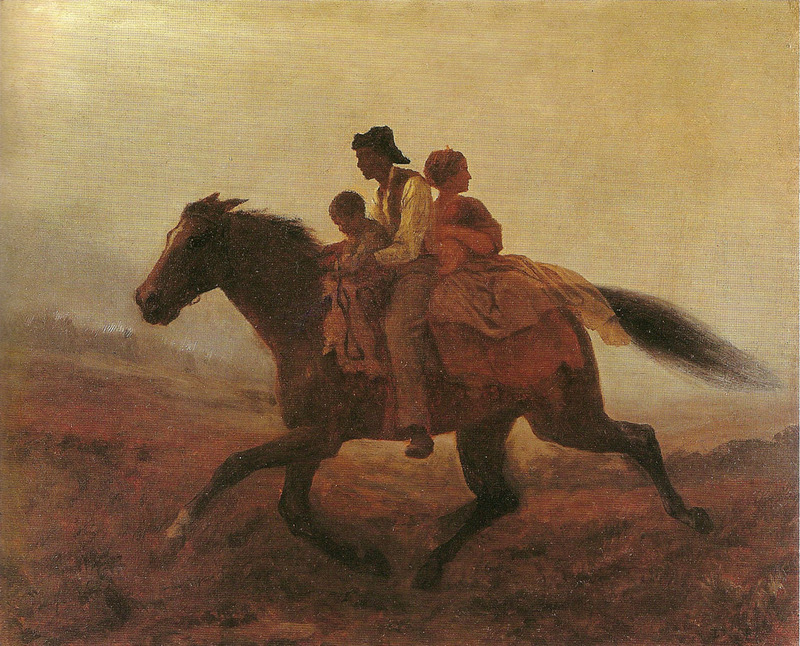 With the North Star as the guiding light for runaway slaves and Canada as the Promised Land, the underground railroad that U.S. schoolchildren read about in textbooks points to freedom in just one direction - the north. One hundred fifty years ago today, on July 13, 1862, Abraham Lincoln went out for a carriage ride with his Secretary of State, William Seward, and his Secretary of the Navy, Gideon Welles. Lincoln told them (as Welles recalled it) that he had “about come to the conclusion that it was a military necessity absolutely essential for the salvation of the Union, that we must free the slaves.” That was the seed of conception for the Emancipation Proclamation, which came to birth five and half months later, giving Lincoln his greatest legacy: “He freed the slaves.” It’s a story everyone knows. Many Americans are fascinated by the family history of Michelle Obama, a descendant of slaves who is the nation's first African-American first lady.